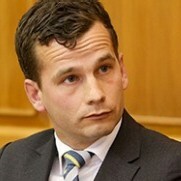 David Seymour’s claim that charter school NCEA achievement is “very high” is not supported by the Government’s own data. In fact, all of the first three charter secondary schools seem to have performed below their NCEA Level 2 contract performance standard in 2014. If Mr Seymour took a look at the charter school contracts, he would see that the performance standard for student achievement against NCEA is set out in Annex A. It clearly states that the contract standard for “school leavers with NCEA Level 2 or higher” was set at 66.9% for the 2014 academic year for each school. The problems at the charter school based in Whangaruru have been well documented but the Minister not only let them stay open but gave them even more funding! Now it looks as if student achievement below contract performance standard is not only going to be swept under the carpet but the Under Secretary will talk it up as being “encouraging”.